Facebook planning to take Instagram to the web? Instagram web profile pages coming soon? 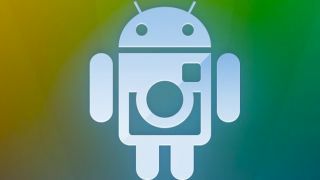 Web profiles may be coming to mobile-centric photo-sharing site Instagram after one web designer spotted a link that would allow users to view profiles online. As of now, there's little you can do with Instagram's website, aside from download the iPhone and Android apps or change account details. The company's core experience comes though those apps, which allow users to see a feed of new photos and view the profile pages of those they follow. Naturally, photos can be viewed via direct web links, but members can't view their profile pages or browse photos using the Instagr.am site. Now Facebook, which acquired the company a billion dollars in cash and shares earlier this year, may be looking to the drop the entirely mobile-focused outlook. The reason for these suspicions arise from web designer Cole Reinke, who spotted a 'View Profile' tab (which soon disappeared) while browsing around the site. The link went through to a 404 Error page, but its mere presence suggests something is definitely up. On his Tumblr blog Reinke posted: "Online Instagram profiles coming soon? Clicking on the link lead me to a 404 error at my profile address. When I looked to see if it was still there three hours later, it had disappeared. But before I saw the option appear, Instagram went down for a minute or two." If we had to guess, profile pages that Facebook is able to sell ads on are surely in the works.